I’m so excited to tell you about this Anti-Aging Coffee Bean Face Oil! First of all, it’s SO simple to make. It’s just 2 ingredients and smells ridiculously good. And I’ve experienced some of the best results from using it the past couple of months! Since using it, I’ve noticed a big improvement to my skin, especially the area around my eyes. It’s lessened the appearance of fine lines and wrinkles and smoothed the skin around my eye area. I’ve also noticed that it reduces puffiness and tightens and firms! Plus it gives me such a great glow with ingredients that have been proven to restore sun damaged and aging skin. And this may be all in my head, but I swear that it makes my face look so much more awake and refreshed. I’m in love with it! And I’m so excited for you to try it, too! 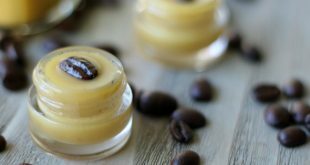 There’s only 2 ingredients in this Coffee Bean Face Oil recipe, but they are powerful for anti-aging and not to be underestimated! Those ingredients are coffee bean oil and rosehip oil. You may have noticed that cosmetic manufacturers have started putting coffee bean extract in many of their formulas. And for good reason. Coffee is so fantastic for the skin! Coffee is one of the richest sources of antioxidants. Antioxidants are so important for the skin because they protect our skin against free radicals that damage and age us. The caffeine in coffee stimulates the skin and improves blood flow to the face, which is perfect for healthy cell turnover that makes us look fresh, radiant and bright. Caffeine is considered a vasodilator, which means it tightens and firms the skin, too! Another really cool benefit of using coffee for the skin is that it increases the production of collagen and elastin. The caffeine in coffee minimizes fine lines and protects against the loss of moisture making it the ideal weapon for anti-aging. And if you have sun burned or sun damaged skin, you’ll be really happy to know that coffee helps reverse the damage of UV rays, too! I’ve been totally in love with using coffee on my skin ever since I first used my coffee scrub for glowing skin (recipe HERE). That scrub is just amazing – it’s the best scrub I’ve ever used. Now that I’ve added this Anti-Aging Coffee Bean Face Oil to my skin, my skin has never looked better! Rosehip Oil is one of the most popular oils for anti-aging because it repairs and regenerates damaged skin tissue. It’s well tolerated by all skin types, even oily skin because it helps regulate natural sebum production. Rosehip oil penetrates deeply into the lower layers of the skin where it regenerates cells and increases collagen production. It is rich in vitamin C and E, Omega-3 and Omega-6 fatty acids and retinoic acid, which studies have shown to brighten and tighten skin! 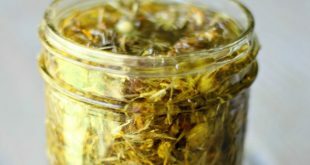 It also helps restore skin’s elasticity, fades age spots and dark circles, reduces broken capillaries, and balances oil glands. Besides all the wonderful skin benefits, it’s ability to absorb easily and quickly into the skin is one of the reasons why I like rosehip oil so much. A little goes a long way, too! I use THIS rosehip oil and have been really happy with it. 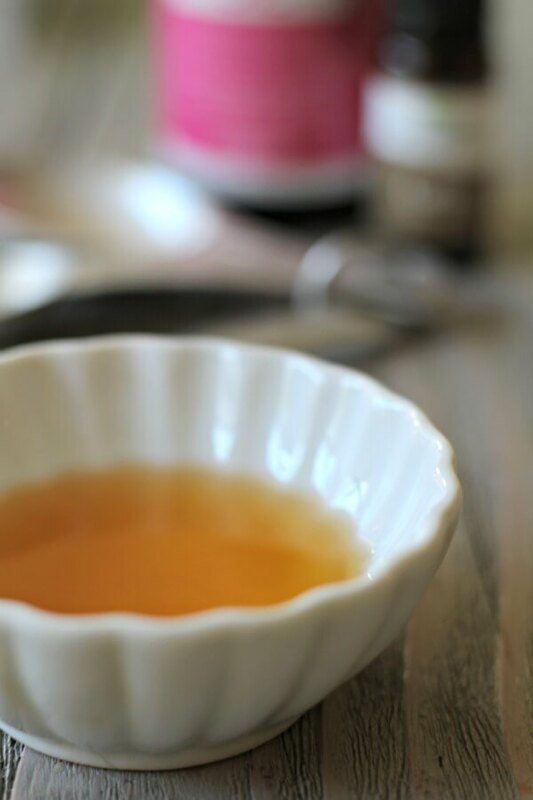 Using a small bowl, mix rosehip oil and coffee bean essential oil until well blended. Store in a dark, glass container (I use THIS – I love the dropper) and in a cool, dry place. You only need a drop or two for your whole face! I use this oil all over my face and neck each morning. It’s very hydrating so I find that I don’t need any additional moisturizer. I let the oil absorb into my skin for a minute or two then apply my makeup. 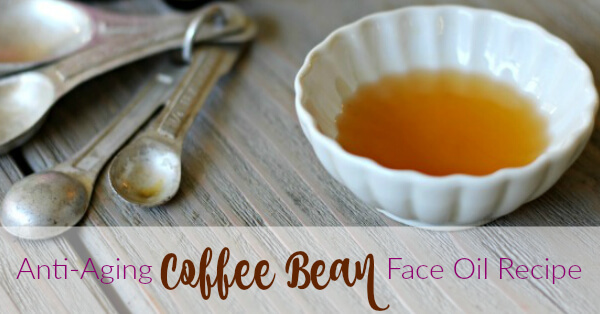 I think you’ll be pleasantly surprised after trying this Anti-Aging Coffee Bean Face Oil after a few weeks! I’d love to hear what you think of it and your results after using it. I hope you experience the same great benefits I have! P.S. I think this would be an awesome DIY Christmas gift, right? At least, I know I would love to get this as a gift 🙂 I think I’m going to make a big batch of this coffee face oil and the coffee scrub for Christmas gifts this year and give the set to all the wonderful ladies in my life! Can’t wait to try this! Already love rosehip oil. It’s one of several that I use regularly. But didn’t know about the coffee bean oil. That puts a whole new spin on things! I’ll report back after I’ve tried it. BTW, I have started blogging. 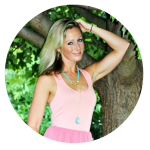 I know you’re crazy busy…would be thrilled if you check it out! There is a very select group of bloggers that have really inspired me, and you are one of them! 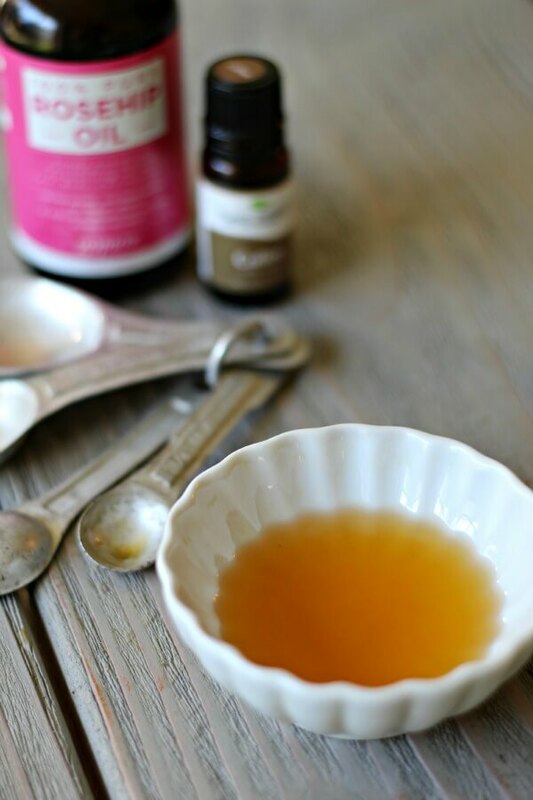 Per Elizabeth’s comment – I have also been using Rosehip oil. Bought from Australia ! Please don’t ask me why ! The addition of coffee sounds great. Just ordered the Coffee Oil from Amazon. Thank goodness for Prime ! I have a Mac which connects to my iPhone. They both have ” Notes ” so I copy the recipe and paste it there. Then I can print out whether at home or away from my computer – iCloud helps. Or just copy and paste onto a printable format on your computer. Judie, we must be on the same page! Over the weekend, I experimented with making my own coffee bean oil since a lot of people expressed interest in the recipe, but live overseas where they couldn’t get the coffee bean essential oil I recommended. The results of this coffee bean oil are too good to not figure something out for those people!! And you are right – infusing coffee beans in oil works fantastic! I’m going to create a quick video tutorial this week and add it to this post. In the meantime to answer your question, yes it works and yes it’s awesome! I still use rosehip as the base because I’ve been really enjoying rosehip for my skin, but you could use olive oil, argan oil, sweet almond oil, jojoba oil or your favorite skin oil. The only one I wouldn’t recommend is coconut since it hardens in cooler weather. Could you use coffee extract? Thanks for sharing this great recipe! I used your coffee bean face scrub last night and LOVED it. Now I am waiting for my coffee bean essential oil to come UPS. I’m really excited about making and using this, also! Thanks for all the great recipes you are putting on your blog. I am learning so much, and am excited about making your dinner recipes! Woohoo! I’m so glad you love the scrub as much as I do, Barbara! I hope you love the coffee bean oil, too – I think you will 🙂 Thank you for taking the time to write such an encouraging comment, too! It’s very appreciated! Thank you so much for posting this recipe. I’m 68 years old and have just been using this for the past week in the morning under my makeup and have noticed a marked improvement in my skin already. One question – could I use this as my night time regimen also? I’m trying to rid my cupboard of as many chemicals as I can, and have just started out with essential oils. Any suggestions would be greatly appreciated. You are an angel – thank you. That’s so awesome, Louise! I am excited that you’re ridding your cupboard of chemicals, too – what a great step in your health! To answer your question about this coffee oil for night use – to be honest, I am not sure. Here’s my opinion, although it’s just an opinion. Just like I wouldn’t drink a cup of coffee at night, I personally don’t use this oil at night. Nighttime is a critical time where your body needs to rest and repair. Putting something on my skin that could stimulate it (even though it’s good stimulation!) is generally not recommended at night since the body really needs to focus solely on resting, repairing and detoxifying. I like to keep it really simple at night and choose no fragrance options – I use just plain argan oil or rosehip oil. Hope that helps you in your decision, Louise! What about a separate frankinsense oil for bedtime? I haven’t used it yet, it’s on my list though, and highly recommended for healing. In fact I read a study where they found that when skin “smells” frankinsense it starts the healing process 🙂 Sounds like a great thing to enhance at night. I use coconut oil with lavender and frankincense at night. It works very well. Do you find this is working better than the argan oil? I’ve been using argan oil for months on my face and don’t really see any improvements, if anything my skin looks like it has dry patches. Hi Christie! I still use argan oil at night, but I am noticing better results with this. 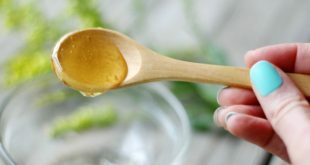 In the cold months, the argan oil doesn’t seem to moisturize as much as I need it to either, so I use my miracle salve recipe as my nightly facial moisturizer. It sounds like you may need an additional moisturizer, too (that miracle salve is too greasy for day use, though). Thanks, I will check it out. My skin is mostly oily in the t-zone then patches of dryness elsewhere. I normally use the argan oil at night then a very light application for day. I’ll check out your salve recipe as well as the coffee bean oil. Thank You! You are the best. OMG This stuff is the bomb! I can’t tell you how much money I’ve wasted on skin products that don’t work. Finally, something that does! I saw visible results right away and after a month, my wrinkles and fine lines are definitely improved and overall my skin has never looked better. I’m giving a bottle to all my favorite women for Christmas. Thank you so much. Woohooo for products that actually work!! Thanks for your comment, Vicki – made my day! Well I waited too long to get the coffee oil and it is out of stock! 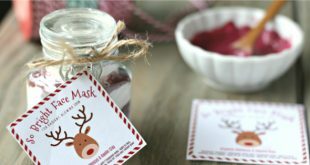 :0( Getting the rose hip oil to use with a bit of frankincense & geranium for the time being, maybe a bit of myrrh also. I do mix in Vit E oil to keep it stabilized. Interesting read that I had to share with you! It says to not forget to take care of the back of your neck because it is also involved in the appearance of the front of the neck. Can this be used in the décolletage area too? Just thinking today. I went to the site and bought my coffee oil, Amazon is out! Got my order within 2 days! But I’m not far from where they come from either. Very interesting, Kari – I didn’t know that about the back of the neck! And yes, I’ve been using this coffee bean oil all over my neck and shoulders – still loving it! 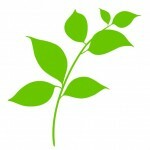 Is Rosehip Seed oil the same as Rosehip oil? A one of a kind blend renowened natural oils enhances natural beauty, while awakening the senses. Organic Extra virgin coconut oil works with Organic Jojoba oil to penetrate deeply into skin, helping to renew and tone, as the oil closests to the skins natural sebum, Jojoba oil moisturizes without leaving an oily residue. Premium quality pure Arabica coffee oil helps skin firm and smooth. When massaged into the scalp, it helps invigorate and moisturize. Oh that sounds great, Kelsey! Hi Trish! That sounds like a good idea. Your blend sounds wonderful and very similar to a blend that is in my rotation. Or you could always do the coffee/rosehip in the morning and your blend at night. Either way, I don’t think you could go wrong! Thanks for the quick response. I think I like your idea of a rotation. I’ll let you know what I think in a couple of weeks. Funny, you may get a chuckle out of this. I was getting out a 30 mL bottle and then realized that the rosehip oil was in a 30 mL bottle. So I just added the 1/4 tsp of the coffee oil and marked the bottle as such. 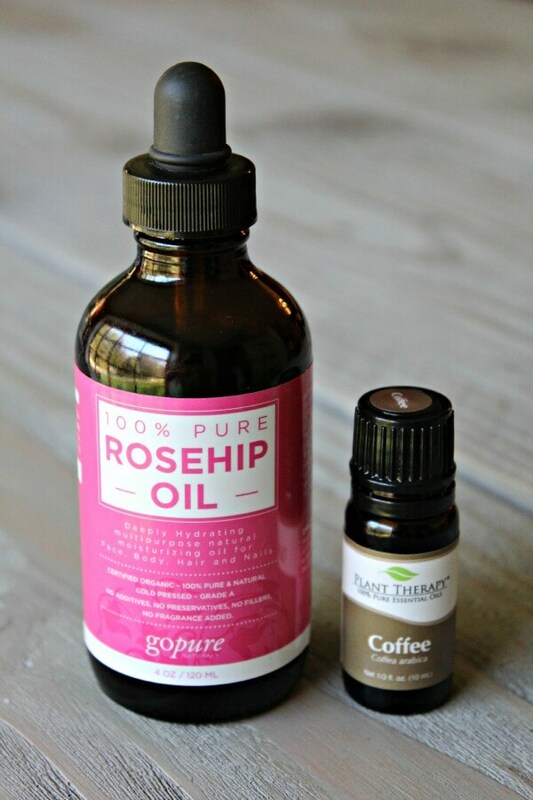 Been using the Coffee Bean essential oil with Rosehip for one year. Love the smell. But clean my face with Pumpkin seed oil first. And the Norwex face cloths. No I don’t sell those. Works great when I am consistent. Not so much lately. Too much going on. Thanks for your tips, Sh’reen! I love hearing what other people are using and having success with 🙂 I’ve heard great things about Norwex, too! I just discovered your site and am excited to make this anti-aging coffee bean face oil. I plan to make coffee oil myself first, and am wondering if it should be used in the same proportion as the coffee bean essential oil? Do I still use 1/4 tsp of home-made coffee oil with 2 TBSP of rosehip oil or a larger amount since it’s not coffee essential oil? Many thanks! Thanks, Kelly, for such a quick reply! I can’t wait to make it and start using it! So again separately we need to take 1/4 tsp of essential oil to our home made coffee ground oil for the application.i am confused.Plz help me out. If you could tell me what to use for my puffy eyes. Hi Mumtaz, You can add coffee beans to a jar, cover them completely with your favorite oil then let the jar sit for 2 weeks (shake it daily) and then strain. What you have left is beautiful coffee bean oil! But when you do it that way, there’s no diluting necessary – you use your pure coffee oil on your face (because it’s not nearly as strong as an essential oil). You would need a few drops of your oil to cover your entire face. I hope that clears things up! Enjoy! Just read these posts today (coffee scrub and coffee bean/oil) … I’m confused though … a lot of the posts on this page talk about coffee grounds and oil and then there are a bunch that talk about coffee beans …. I want to make my own mix of this recipe but don’t know which coffee texture to use. I am 75 and it’s about time, eh? (From one Canadian to another) …. Hi Jane! Oh, I’m so excited for you to try this – they are both my favorite skincare recipes and have made the biggest difference in my skin! To make your own coffee bean oil infusion, I like using coarsely ground coffee beans the best. If you don’t have a coffee grinder, you can always put some coffee beans in a plastic bag and pound them until they break down a bit. However, for the coffee scrub, make sure the coffee beans are ground very finely or you can use ground coffee for this! I hope that clears things up. If not, just let me know! Enjoy! Thanks for responding so quickly. I have made up a bunch of your coffee scrubs and sea salt scrubs for fun gifts BUT this morning they were hard like rocks (I opened each jar to check) … I know this is because of the coconut oil … but – help! How do we handle this? Thanks for your input. Hi, love your tick spray! use it all the time. the coffee bean oil not so much. It smells like stale coffee & as much as I love coffee it just about put me off it for life! scrubbed my face & threw it away. Sorry but this one is a miss for me. I love this combo! I’ve used it for months now and it has helped my face tremendously!! I like to wear sunscreen on my face tho too! Would you recommend apply sunscreen before or after this combo?! Thank you again for posting this! Hi Makenzie! I’m so glad you are enjoying this face oil as much as me 🙂 Whenever I need to wear sunscreen on my face, I put it on after I apply the coffee bean oil. Take care! Hi! I have a tiny amount of pitted acne scarring on my cheeks. Do you think the coffee bean oil mixed with the rosehip oil will help that? or, are there other oils you recommend for that issue? I’ve been using argan in the morning and reship at night but considering switching that routine up because rosehip seems to sink into my skin quicker. I made this yesterday! I love the feel and the smell!!!! I use a Hyaluronic Acid serum every morning and a moisturizer. What order should I apply them??? Thanks! !